Corning Gorilla Glass continues to improve with the announcement of version 6 yesterday. The new generation of tough cover glass, popular in devices such as smartphones and tablets, is of course, the most durable yet. Corilla Glass 6 has been formulated to deliver "unprecedented protection against multiple drops," an all-too-common accident faced by smart device owners, often needing pricy repairs. 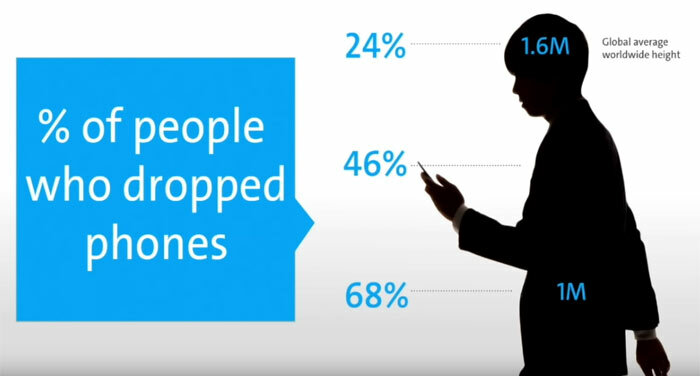 "As consumers become more dependent on their smartphones, the opportunity for potentially damaging drops is also on the rise. Now more than ever, it's critical that the cover glass provides outstanding protection," said John Bayne, VP & GM at Corning. Bayne went on the say that Gorilla Glass 6 has been engineered to survive drops from higher heights, and on multiple occasions. Scratch resistance qualities remain unchanged compared to Gorilla Glass 5. 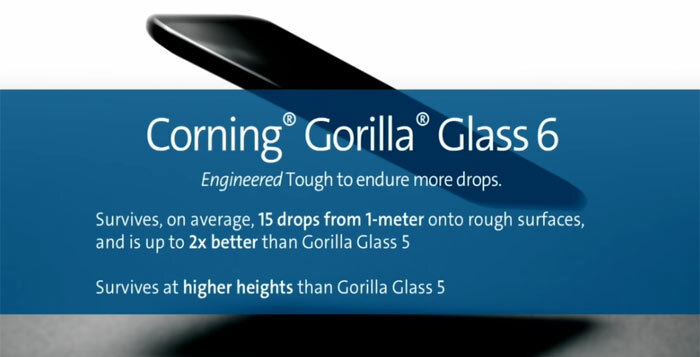 Corning asserts that Gorilla Glass 6 is an "entirely new material," designed to address the challenge of multiple drops. In lab tests the glass survived 15 drops from 1 metre onto rough surfaces, a result that "is up to two times better than Gorilla Glass 5". If your phone has a rival glass composition, such as soda lime and aluminosilicate, you will be lucky if it survives the first drop, says Corning. Another design tweak to the material makes it more suitable for devices that feature glass front and back (a growing trend). Corning hopes its new Gorilla Glass 6 will keep it on the check list of desirable specs for smart devices. More than 6 billion devices by more than 45 major brands have featured Gorilla Glass over the years (since its 2007 debut). Gorilla Glass 6 is in production and in testing by multiple customers. However, it might be "several months" until it is first seen on shipping devices. No, make it out of metal or posh coated polymer or something that isn't glass. You end up needing a case which negates all the advantages of “it feels good” and so on. It also shows that you don't care about the end customer, but about the journalists who will say how amazing it feels and so on in their reviews where they don't use a case. I hate having to use a case for a phone, it gets in the way, the magnets seem to mess with the compass / navigation and it makes it harder to use. Bring back the old HTC metal designs. I do feel I am alone in the world having never broken or heavily scratched my phone screen. I don't drop it and don't put in in my pocket with my keys… its not hard. While I have accidentally dropped my phone a number of times over the years (although probably nowhere near as many as some people), it has never resulted in the screen being smashed (or noticeably scratched for that matter). I can only assume that to be partly due to it mostly being indoors, and partly due to the fact that my choices haven't been the top range ones (such as iPhones) that seem most prone to it happening due to having glass backs etc., judging from various comments I've read in the past. I believe the smartphones I have had have all included previous iterations of Gorilla Glass too, so it certainly does a good job. No, you are not alone (hoping I’m not tempting fate) but I keep my phone in a wrap around case so the screen is covered when it’s in my pocket and has a degree of protection if it is dropped.